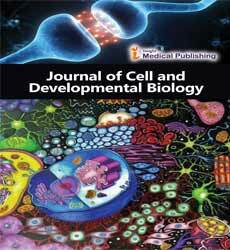 Journal of Cell and Developmental Biology is an open access, peer reviewed periodical that focuses on the evolution, development, growth, regeneration, and functions of the cells while tracing the disorders it may attract. The journal thus underlines the importance of addressing cell disorders that may lead to a plethora of other chronic diseases, including cancer. The Journal of Cell and Developmental Biology caters to the interests of the cytologists, radio-oncologists, clinical practitioners, general physicians, hematologists, students, researchers and academicians. The journal thus includes a wide spectrum of topic for study, including Cell biology, Developmental biology, Cell differentiation, Regeneration, Allometry, Pluripotency, Cell signaling, Leucopenias Lymphocytopenia, Blood cell, Cellular communication, Germ cell, and Cancer cell. Cell therapy (also called cellular therapy or cytotherapy) is therapy in which cellular material is injected into a patient, this generally means intact, living cells. Two distinct categories of cell therapy are recognized. The second category is in alternative medicine, and perpetuates the practice of injecting animal materials in an attempt to cure disease. This practice, according to the American Cancer Society, is not backed by any medical evidence of effectiveness, and can have deadly consequences. Cell culture, is the process by which cells are grown under controlled conditions, generally outside of their natural environment. Cell culture conditions can vary for each cell type, but artificial environments consist of a suitable vessel with substrate or medium that supplies the essential nutrients (amino acids, carbohydrates, vitamins, minerals), growth factors, hormones, and gases (CO2, O2), and regulates the physio-chemical environment (pH buffer, osmotic pressure, temperature). In practice, the term "cell culture" now refers to the culturing of cells derived from multicellular eukaryotes, especially animal cells, in contrast with other types of culture that also grow cells, such as plant tissue culture, fungal culture, and microbiological culture (of microbes). The historical development and methods of cell culture are closely interrelated to those of tissue culture and organ culture. Viral culture is also related, with cells as hosts for the viruses. Germplasm are living genetic resources such as seeds or tissues that are maintained for the purpose of animal and plant breeding, preservation, and other research uses. These resources may take the form of seed collections stored in seed banks, trees growing in nurseries, animal breeding lines maintained in animal breeding programs or gene banks, etc. Cryopreservation or cryo-conservation is a process where organelles, cells, tissues, extracellular matrix, organs or any other biological constructs susceptible to damage caused by unregulated chemical kinetics are preserved by cooling to very low temperatures (typically −80 °C using solid carbon dioxide or −196 °C using liquid nitrogen). Basal-cell carcinoma (BCC), also known as basal-cell cancer, is the most common type of skin cancer. It often appears as a painless raised area of skin, that may be shiny with small blood vessels running over it or it may present as a raised area with ulceration. Basal-cell cancer grows slowly and can damage the tissue around it but is unlikely to spread to distant areas or result in death. Ameloblastoma, is a rare, benign or cancerous tumor of odontogenic epithelium much more commonly appearing in the lower jaw than the upper jaw. While these tumors are rarely malignant or metastatic (that is, they rarely spread to other parts of the body), and progress slowly, the resulting lesions can cause severe abnormalities of the face and jaw. Additionally, because abnormal cell growth easily infiltrates and destroys surrounding bony tissues, wide surgical excision is required to treat this disorder. If an aggressive tumor is left untreated, it can obstruct the nasal and oral airways making it impossible to breathe without oropharyngeal intervention. Cancer cells are cells that divide relentlessly, forming solid tumours or flooding the blood with abnormal cells. Cell division is a normal process used by the body for growth and repair. A parent cell divides to form two daughter cells, and these daughter cells are used to build new tissue, or to replace cells that have died as a result of ageing or damage. Healthy cells stop dividing when there is no longer a need for more daughter cells, but cancer cells continue to produce copies. They are also able to spread from one part of the body to another in a process known as metastasis. Human genetics is the study of inheritance as it occurs in human beings. Human genetics encompasses a variety of overlapping fields including: classical genetics, cytogenetics, molecular genetics, biochemical genetics, genomics, population genetics, developmental genetics, clinical genetics, and genetic counseling. Genes can be the common factor of the qualities of most human-inherited traits. Study of human genetics can be useful as it can answer questions about human nature, understand the diseases and development of effective disease treatment, and understand genetics of human life. Evolutionary Developmental Biology, is a field of biological research that compares the developmental processes of different organisms to infer the ancestral relationships between them and how developmental processes evolved. Cell Differentiation is the process whereby different functional cell types arise in development. For example, neurons, muscle fibers and hepatocytes (liver cells) are well known types of differentiated cell. Differentiated cells usually produce large amounts of a few proteins that are required for their specific function and this gives them the characteristic appearance that enables them to be recognized under the light microscope. Regeneration indicates the ability to regrow a missing part. This is very prevalent amongst plants, which show continuous growth, and also among colonial animals such as hydroids and ascidians. Allometry is the study of the relationship of body size to shape, anatomy, physiology and finally behaviour. Pluripotency refers to a stem cell that has the potential to differentiate into any of the three germ layers: endoderm, mesoderm or ectoderm. Cell signalling is part of any communication process that governs basic activities of cells and coordinates all cell actions. The ability of cells to perceive and correctly respond to their microenvironment is the basis of development, tissue repair, and immunity as well as normal tissue homeostasis. Leukopenia, leukos meaning 'white' and penia meaning 'deficiency' is a decrease in the number of white blood cells (leukocytes) found in the blood, which places individuals at increased risk of infection. Lymphocytopenia Defined as total lymphocyte count below 1.0x109/L, the cells most commonly affected are CD4+ T cells. Blood cell, also called a haematopoietic cell, hemocyte, or hematocyte, is a cell produced through hematopoiesis and found mainly in the blood. Red blood cells (Erythrocytes), White blood cells (Leukocytes), Platelets (Thrombocytes). Cellular communication is an umbrella term used in biology and more in depth in biophysics and biochemistry to identify different types of communication methods between living cells. This process allows millions of cells to communicate and work together to perform important bodily processes that are necessary to survival. Germ cell is any biological cell that gives rise to the gametes of an organism that reproduces sexually. In many animals, the germ cells originate in the primitive streak and migrate via the gut of an embryo to the developing gonads. Cancer cells are cells that divide relentlessly, forming solid tumours or flooding the blood with abnormal cells. Cell division is a normal process used by the body for growth and repair. A parent cell divides to form two daughter cells, and these daughter cells are used to build new tissue, or to replace cells that have died as a result of ageing or damage. Healthy cells stop dividing when there is no longer a need for more daughter cells, but cancer cells continue to produce copies.